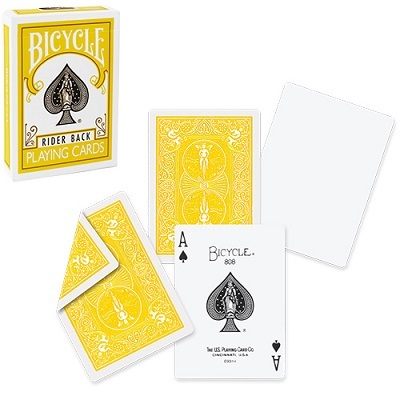 We are proud to offer you the Bicycle deck yellow back. Printed by USPC (the most famous card factory in the world). You can use these cards for color changing effects, but you can also use them as an ordinary deck. Naturally also the case is yellow. • The quality of the cards is usual top quality of Bicycle decks. • The deck is poker size and is enriched by the addition of two special cards: the first has a blank face, the second has a double back.